Satisfy your inner culture vulture at Bodie and Bodie State Historic Park. You'll explore the less-touristy side of things at Four Mile Trail and Tioga Rd. Change things up with a short trip to Mono Lake Tufa State Natural Reserve in Lee Vining (about 1 hour away). Spend the 23rd (Mon) exploring nature at Bridalveil Fall. Spend the 26th (Thu) exploring nature at Elizabeth Lake, Yosemite National Park. There's much more to do: trek along Mariposa Grove of Giant Sequoias, explore the striking landscape at Glacier Point, explore the activities along Tenaya Lake, and stroll through Nevada Falls Loop. For where to stay and other tourist information, use the Yosemite National Park trip itinerary builder tool . 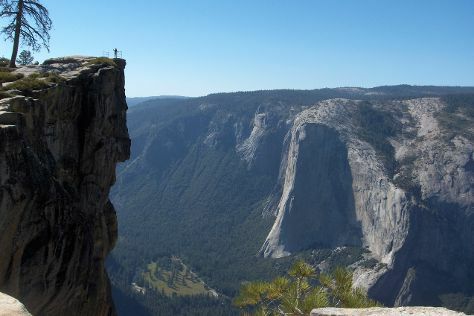 In September, daily temperatures in Yosemite National Park can reach 74°F, while at night they dip to 38°F. Finish your sightseeing early on the 29th (Sun) to allow enough time to travel back home.